Our opening times differ during the BADA (March) and CADA (April) Fairs. During our annual exhibition (October) we have extended hours. Please see our Fairs & Exhibition pages for full details of all fairs we are attending. It is always advisable if travelling some distance to make a prior telephone call - 01993 703902. The gallery offers an array of antique furniture ranging from Queen Anne or early Georgian walnut, early oak and fruitwood examples to increasingly sophisticated later Georgian and Regency period furniture designs in mahogany, rosewood and satinwood. The stock includes fine examples of oak dressers, cabinets, sets of chairs, bureaux, secretaire and breakfront bookcases, desks and dining, side, card and tea tables, etc. Chippendale, Gillows and Sheraton furniture, as well as furniture from other workshops or design sources, is usually represented. In addition, a small stock of high quality 18th and early 19th century Continental furniture is always on display. All our period furniture is chosen for its aesthetic qualities, authenticity, colour and originality. In the textile gallery, English antique embroidery together with probably the largest stock of fine needlework samplers in the United Kingdom are always on view, attracting interest for their unique historical perspective from collectors, museums and visitors worldwide. 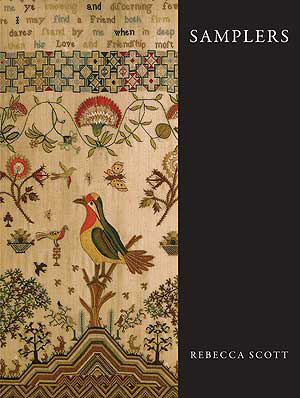 A themed exhibition of 17th to 19th century samplers and embroideries is held annually, accompanied by a full colour catalogue. All exhibits for sale are carefully conserved by mounting on acid free board and with ultra violet light protective glass. Samplers have been worked in Britain since the sixteenth century, and provide a valuable social record as well as being works of art. Originally collections of patterns gathered together for reference by needle and lace workers, they came to encompass works of piety, of love, of education, and commemoration. Young ladies would stitch the alphabet, multiplication tables and religious extracts not only for decoration, but to keep them from being idle, and to impress the relevant lessons deep into their consciousness. They are among the few antiques that record precisely when they were made, and by whom, which makes the changing fashions in stitches and decoration all the easier to trace. Samplers, written by one of Britain's leading experts on the subject, Rebecca Scott, and illustrated with superb photographs of a great range of samplers from Britain and the United States provides an ideal introduction to these amazing embroideries for collectors and those interested in social history and the history of art. Witney Antiques offers a small choice selection of English longcase and bracket clocks and household barometers in mahogany, walnut and marquetry, made between 1680 and 1830. All of our antique timepieces have been carefully restored as needed to full working order. Remember that a visit to the Cotswolds, an area of outstanding beauty, is always a memorable experience. We would love to see you in Witney and show you around our showrooms where you will be sure to receive a warm welcome, and for those who have never visited us a very pleasant surprise. It is essential to call us on 01993 703902 or Contact us here to book your visit in advance so we can ensure someone is there to show your around. Witney Antiques is a member of The British Antique Dealers' Association (BADA), The Cotswold Antique Dealers' Association (CADA) and The London & Provincial Antique Dealers' Association (LAPADA). All rights reserved. 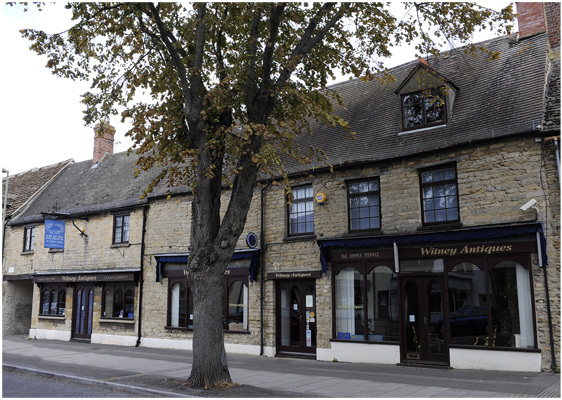 Witney Antiques ©1999-2011.